Cruises from Cape Liberty (Bayonne, NJ), in addition to New York, are available to people living in the northeastern U.S. This is exciting for people who enjoy cruising from the Big Apple, or near it. While the Cape Liberty Cruise Port is located in Bayonne, New Jersey, it is not far from New York City and is therefore a perfect gateway for cruise passengers with easy access to New York. Currently, only two major Caribbean cruise lines offer cruises from the Bayonne cruise port to Caribbean ports of call. These are Celebrity Cruises and Royal Caribbean International. 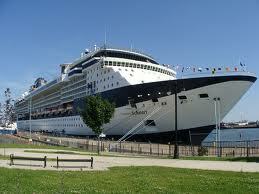 Celebrity has one ship with itineraries from Bayonne: Celebrity Summit. Royal Caribbean also has two ships sailing from Cape Liberty: Adventure of the Seas and Anthem of the Seas. You will be happy to know that your family can book a cruise vacation out of Cape Liberty to Bermuda (not really a Caribbean island), the Bahamas, the Eastern Caribbean and some islands in the Southern Caribbean. 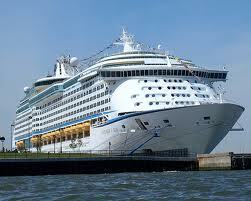 Both Celebrity and Royal Caribbean offer Bermuda cruises, as well as sailings to the Eastern Caribbean. Royal Caribbean also offers cruise itineraries to the Bahamas. One important thing to know is that not all cruises from the Cape Liberty Cruise Port are offered year-round. Consequently, you need to plan well to catch one of the many, though not year-long, sailings to the Caribbean. Check with a Travel Agent for when sailings are available. Cape Liberty offers cruises of varying lengths, from 4-nights to as many as 12-nights. 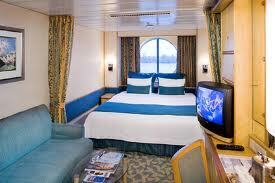 Therefore, it should be easy for your family to book an exciting cruise vacation from that port. 1. Celebrity Summit offers a 7-night Bermuda cruise to Kings Wharf. 2. Celebrity Summit also offers a 10-night Bermuda cruise to Kings Wharf and to ports in New England. 3. Celebrity Summit offers 6-night cruise to the Eastern Caribbean with stops in Philipsburg, St. Maarten; Charlotte Amalie, St. Thomas, U.S. Virgin Islands; and, San Juan, Puerto Rico. 1. Adventure of the Seas offers 7-night Bahamas cruises with a call at Port Canaveral in Florida and two stops in the Bahamas. 2. Adventure of the Seas offers 8-night cruises to the Bahamas with stops in Bermuda; Nassau, Bahamas; and, Cococay (Little Stirrup Cay), Bahamas. 1. Anthem of the Seas offers 4-night, 5-night and 7-night Bermuda cruises to Kings Wharf. The 7-night sailings include ports in New England. 2. Anthem of the Seas offers 7-night and 8-night cruises to the Bahamas with stops in Port Canaveral, Florida; Nassau, Bahamas; and, Cococay (Little Stirrup Cay), Bahamas. 3. Anthem of the Seas offers 9-night cruises to the Eastern Caribbean with stops in San Juan; Charlotte Amalie, St. Thomas, USVI; and Labadee (Labadie), Haiti. These sailings include a call in Bermuda. 4. Anthem of the Seas offers 11-night cruises to the Eastern Caribbean with stops in Labadee (Labadie), San Juan, Charlotte Amalie; Philipsburg; Antigua and St. Kitts. 5. Anthem of the Seas offers 12-night cruises to the Southern Caribbean with stops in Philipsburg, St. John's, Antigua; Basseterre, St. Kitts and Castries, St. Lucia. Note that in addition to the Caribbean cruises listed above, the Cape Liberty Cruise Port offers sailings to New England and Canada. Did you see any exciting cruise itinerary above? I believe you did. Go ahead and book one of several amazing cruises from Cape Liberty to the Caribbean. Visit my website, PetesTravelCenter.com, to book. 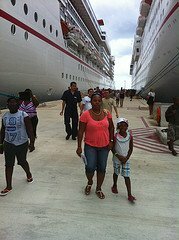 When you return from your family cruise vacation, please re-visit this website to share your Caribbean cruise story.